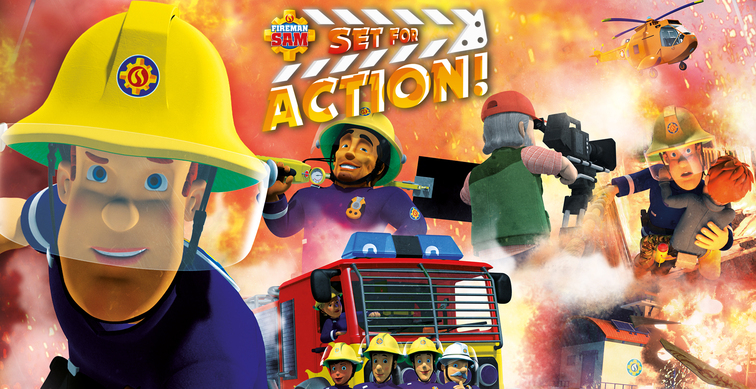 Win merchandise with Fireman Sam: Set for Action! Fireman Sam’s all-new action-packed adventure, Fireman Sam: Set for Action!, is airing on Cartoonito, Monday 22 October at 8.00am. To mark the release, we’ve ben given 3 goody bags including a plushie talking Fireman Sam doll, an exclusive UK playset and Cartoonito stickers. Fireman Sam returns in his new movie special “Fireman Sam: Set For Action!”, where we will see the glamour and excitement of the Hollywood film industry taking over Pontypandy, amongst all the action, excitement and big rescues that fans would expect! John Barrowman who plays Flex Dexter, follows in the footsteps of his fellow Dr Who star David Tennant to record a villain’s voice for Fireman Sam. Tennant played Buck Douglas in the previous Fireman Sam feature length movie “Alien Alert”. Fireman Sam: Set For Action! will air on Cartoonito at 8.00am on 22nd October 2018 and will be repeated throughout the week.